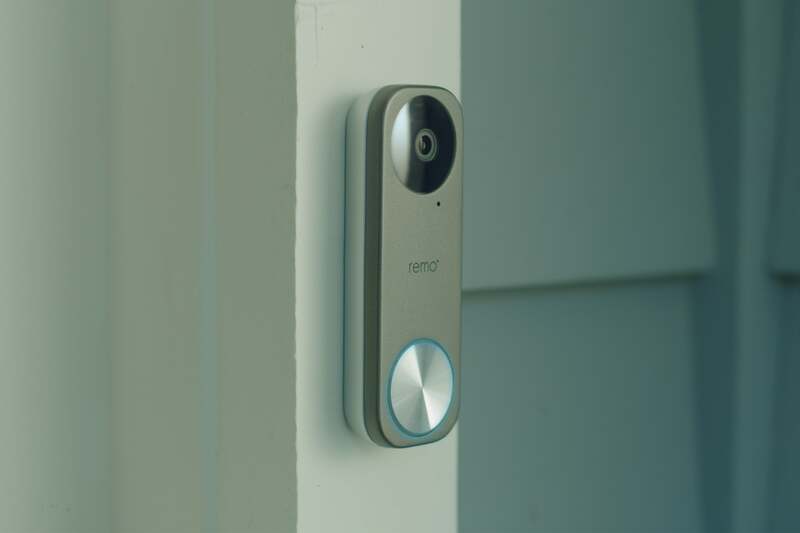 Most video doorbells that deliver 1080p video resolution cost twice as much as the RemoBell S (the original Ring is limited to 720p), but you'll need existing doorbell wiring to power this one (the Ring can operate either on a battery or with low-voltage wiring). 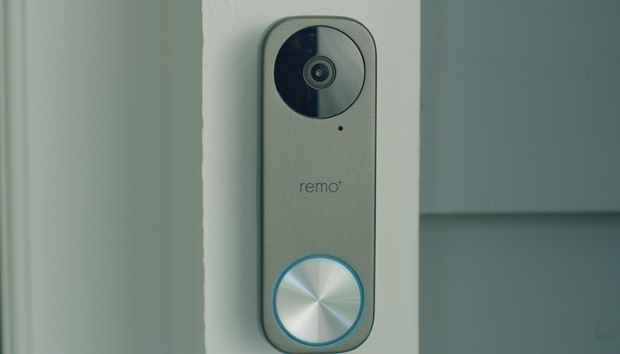 The RemoBell S’s camera has a 180-degree field of view, and as with the other products in this class, an onboard mic and speaker so you can engage in two-way conversations with visitors to your door. Installation is a relatively simple affair, aided by straightforward instructions written for a DIYer. You tie a small power kit into your existing door chime’s wiring and attach it to the exterior of the chime’s housing (or somewhere close) using the provided adhesive backing. Remo+ provides one flat and two angled mounts, so you can optimize the camera’s viewing angle. You might need to drill new holes for this purpose, or you can use a provided adhesive-backed foam to mount it to brick or stucco. A tiny bubble level is provided to help you ensure the mount is level before you secure it to the wall. The industrial design of the RemoBell S is more sophisticated than you might expect given its low price tag. The final installation step was the only one where the instructions let me down: You must pry the doorbell’s faceplate off and use two small screws to permanently attach it to the mounting plate. You’ll need to download and install Remo+’s mobile app to add the RemoBell S to your 2.4GHz Wi-Fi network (5GHz access points are not supported). One of our biggest criticisms of Ring’s security cameras is the fact that you can’t store any video recordings without paying for a subscription. Remo+ lets you store an unlimited number of video clips in the cloud for a maximum of three days at no cost. But you’ll need that storage, because the RemoBell S’s motion sensor is much too sensitive, and its app has the crudest motion-detection zones I’ve seen. The view from recorded video clips stored in the cloud is not what you’d expect to see. After getting tens of “motion” and “missed motion” notifications (and never being clear what the difference was), I eventually dropped the sensitivity down to its lowest setting. This helped reduce the notifications, but it didn’t make them any more relevant. The recorded video all too frequently didn’t show what triggered it—it could have trees waving in the breeze or just a cat milling about my front porch. Recording doesn’t start until motion is detected, so the source of the movement could have already left the camera’s field of view. On the bright side, you can download and share your recordings with anyone. If you need more storage, Remo+ charges a reasonable $3 per month ($30 per year if paid annually) to store an unlimited number of clips in the cloud on a rolling 30-day basis. That’s $3 per month per device, however; if you have other Remo+ cameras installed around your house, those subscription fees could add up quickly. Looking back at Ring, it’s worth noting that the company’s Protect Plus Plan provides 60 days of cloud storage for every Ring device at a single address (plus professional monitoring for Ring Alarm, if you have that system installed) for $10 per month or $100 per year if paid annually. How these motion-detection zones relate to the camera’s field of view is a mystery. 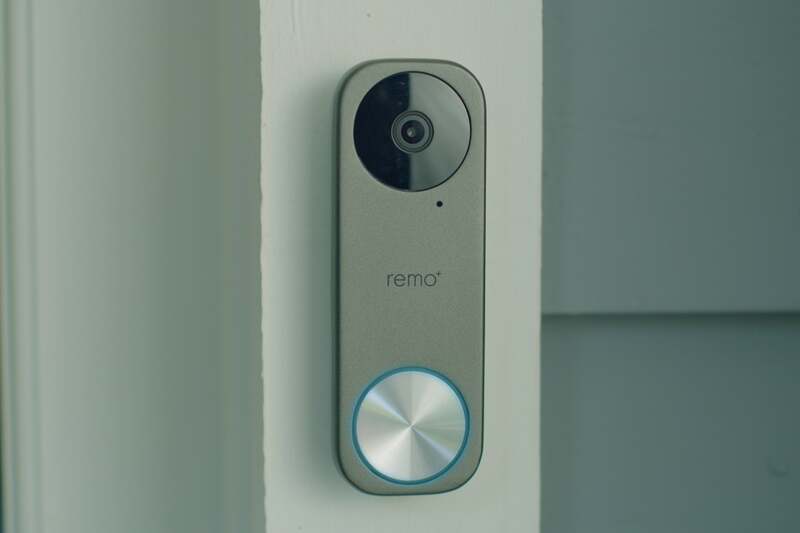 At this price, I didn’t expect Remo+’s DoorCam & RemoBell app to have advanced features like facial recognition, and it doesn’t. But I also didn’t expect it to have the crudest motion zones I’ve encountered in a security camera. These zones are represented by a simple gray square that’s divided into quadrants. How these squares relate to the camera’s field of view is a mystery, but what’s even more confusing is that you can activate just one of the squares or you can activate all four—there are no other options. When you’re watching a live stream from the camera, the app presents the video in a square window. But when you go back to watch video the camera has recorded, it’s presented in a circle view replete with severe fish-eye distortion. To call up the playback controls, you must tap inside that circle of video. The good news is that most of the RemoBell S’s shortcomings are related to its software, not its hardware, and those problems should be easy to fix. The hardware is easily worth $99, but potential buyers need to decide just how much frustration they’re willing to put up with until that happens.